There something about the end of the day when the sun begins to set and the evening sky opens up in cascading colors. The tropical coastal marsh waters look like a kaleidoscope of color with glistening sparks of sunlight dancing on the peaceful water! This is contemporary coastal sunset oil painting inspired by Florida wetlands. 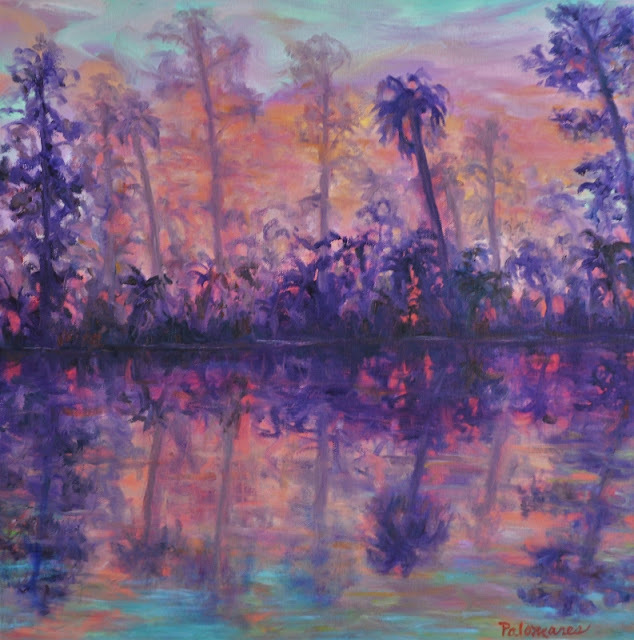 This nature painting is very peaceful and serene with oranges, teals and touches of pinks and purples. The colors dance on the sparkling marsh water in this impressionist oil painting.